We hav been working hard for 4 months to bring you #VHeat2012 at the Congress Theater. 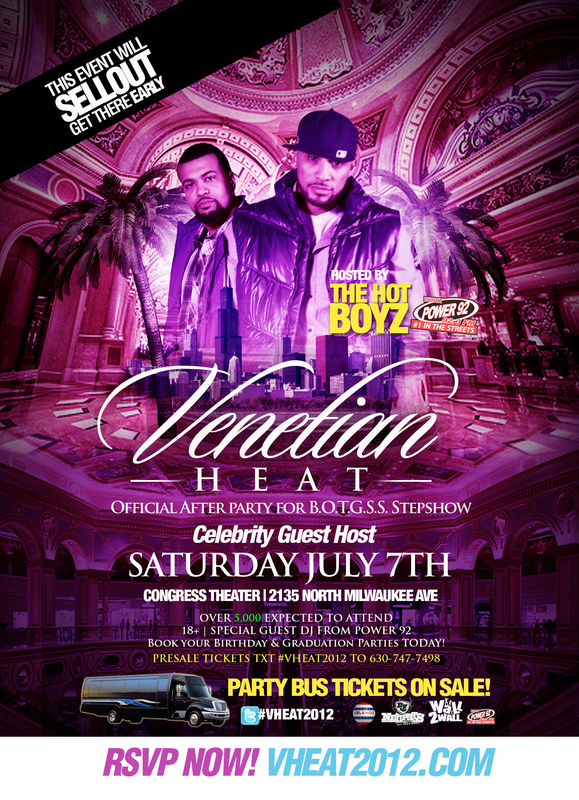 I will be co-hosting the event July 7 with YoungWayne, and Power 92 ‘s Hot Boyz. I’m very excited about this event and a bit nervous. I haven’t hosted to a crowd this huge and a venue this beautiful before. This will be the start of many and I can’t wait. S/O to Grind Work Progress for making this all possible. See you Saturday Luvs.